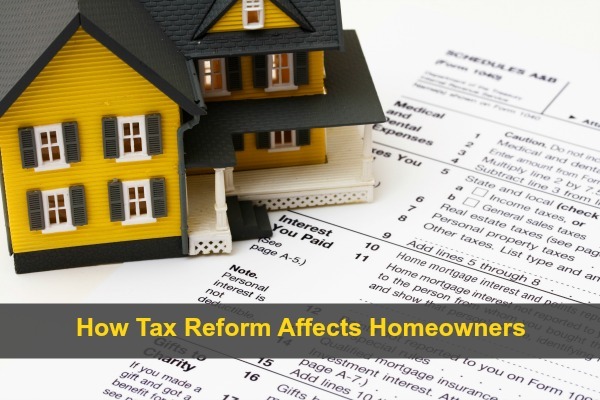 New tax legislation was signed into law at the end of 2017, and it included some significant changes for homeowners. These changes took effect in 2018 and do not influence your 2017 taxes. Here’s a brief overview of this year’s tax changes and how they may affect you. Under the old law taxpayers could deduct the interest they paid on a mortgage of up to $1 million. The new law reduces the mortgage interest deduction from $1 million to $750,000. These changes do not affect mortgages taken out before December 15, 2017. The home equity loan deduction has been changed. The IRS states that despite newly-enacted restrictions on home mortgages, taxpayers can often still deduct interest on a home equity loan, home equity line of credit (HELOC) or second mortgage, regardless of how the loan is labeled. The Tax Cuts and Jobs Act of 2017, enacted December 22, suspends the deduction for interest paid on home equity loans and lines of credit unless they are used to buy, build or substantially improve the taxpayer’s home that secures the loan. The deduction would be suspended from 2018 until 2026. Previously, homeowners could deduct unreimbursed casualty, disaster and theft losses on their property. That deduction has been repealed, with an exception for losses on property located in a federally declared disaster area – an important victory! Homeowners can continue to exclude up to $500,000 for joint filers or $250,000 for single filers for capital gains when selling their primary residence as long as they have lived in the home for two of the past five years. An earlier proposal would have increased that requirement to five out of the last eight years and phase out the exclusion for high-income households, but it was struck down. Find out more about 2018 tax reform. The changes in real estate related taxes may change your strategy. Contact one of our agents to go over your options and answer any questions you may have.